We have a thriving cycling club scene in the area, who provide a welcoming and professional introduction to the fun and excitement of learning to track cycle at the velodrome, with a skilled workforce that can help riders of all ages and abilities to enjoy this great activity. 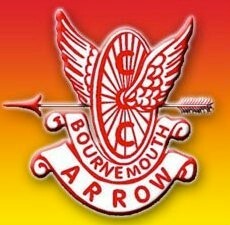 Encouraging track cycling is just one part of the Bournemouth Arrow Cycling Club. Their four qualified coaches encourage and support their members in all forms of riding and racing, including family participation through weekend social and club runs. Winton Academy provides a high quality Excellence Centre for their coaching. In winter, family friendly weekly indoor turbo fitness sessions are held alongside coaching evenings. Winton also houses their own 'Lab' with 8 high tech Wattbikes, bringing science to their coaching and training. Summer activities include weekly club track coaching at Bournemouth track plus 10 mile time trials and social rides. Bournemouth Jubilee participate in all aspects of cycling with members racing in all disciplines; road, track, time trials, cyclo cross and cross country MTB. Poole Wheelers Cycling club were established in 1926. Promote cycling, and cycle racing in all forms. Provide a friendly family club environment to enjoy the sport. Support and develop young riders. Poole Wheelers are one of the most successful local cycling clubs, located in Dorset on the south coast of England, they have fantastic countryside with a blend of hills and open areas which are perfect for cycling. Poole Wheelers pride themselves with being one of the friendliest cycling clubs in the UK. 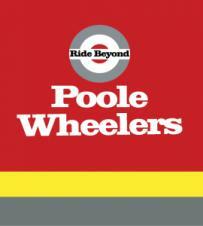 Poole Wheelers is a Go-Ride club. Go-Ride is British Cycling's Club Development Programme aimed at improving both young riders and clubs. It focuses on volunteers and young members – improving coaching standards and increasing the number of young riders with access to coaching activities.